This week there have been some really intense basketball being played, and as some teams move to keep their winning streaks going, there could be opponents poised to stop that momentum. With all of the eyes on the championship winners from last season, the Golden State Warriors are definite favorites to beat the Denver Nuggets in Fridays match. There are a few others that are also in the running including the Indiana Pacers and their two-consecutive wins going up against the Miami Heat, and with the declining Lakers franchise going up against the poorly ranked Nets. 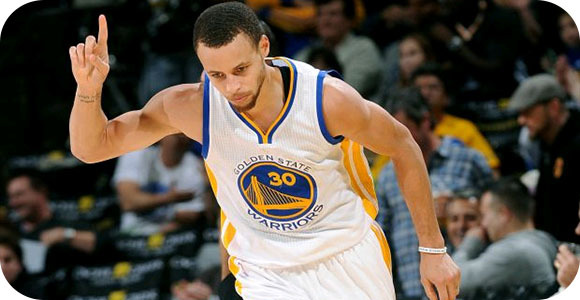 The Warriors have been the ultimate favorite for any sports fan, as they have been doing amazingly so far this season. So far they are going on a five-game winning streak, with three at home and two away. However, the Nuggets have done better on the road than at home, but they won’t win just because of this. They are averaging a spread of 20.8 points per game, but the scores that stand out are when they play horrible teams; beating the Grizzlies by 50 points and the Rockets by 20 points. The Nuggets could keep the score close during the first half, but with Stephen Curry at point they don’t stand a chance. This game will be a pretty even matchup, as both teams have been struggling to get their performance up. In the end, the two-game streak that the Pacers are coming off, in combination with a back-to-back game for the Heat, it is slightly in favor of the Pacers winning. With the home court advantage, it is possible for the Pacers to not only cover the spread, but indeed outright win the game. It is not surprising that most sportsbooks are making the Lakers the underdogs for this game, seeing as how poorly they have been playing; going on a 4-game losing streak. However, the Nets are not better off, with 5 consecutive losses so far this season, they would be a prime target to give the Lakers their first win. When betting on this game, just remember, it is a battle to see which one of the worst teams in the NBA is not as bad as the other. In this case, we would go with the Lakers to be not as bad. These basketball games give you a favorite and two underdogs to watch closely, as they could surprise you.